Prior to any removal, a representative will need to visit your home to discuss all of your requirements; we will explain all our services & options available to you. You will then be provided with a written quotation for your removal, this service is free & without obligation. Part of the pre-move survey is to consider the kind of access you have at your present and new homes. For example, we may have to use two smaller vehicles if there isn’t enough access for one of our large vehicles. If you live in a narrow street where your neighbours park on the road, let them know when you are moving and ask them to leave enough space for the removal vehicle. This will save delays on the day. Because we agree all the details of your move with you in advance, you can be confident that we will provide you with a quality service in line with your budget and expectations. With all domestic removals we will supply, in advance, 40 used packing boxes & parcel tape free of charge. Other packaging materials can be supplied at a cost, Hanging wardrobe cartons will be supplied on the removal day. Andrews Removals Gloucester do not employ inexperienced temporary staff. All our teams are highly trained CRB checked and experienced so you can be sure that the people handling your possessions are trustworthy expert packers. They are attentive, careful and understanding. On arrival at your home the foreman will introduce himself and the team to your family. A selection of carpet protectors will be placed over all flooring during your move at both properties. Your goods will be carefully packed and wrapped using padded covers on all sofas, chairs, dinning tables and pianos, the covers have been specially designed to stop your furniture from getting marked or wet during your move we also provide furniture blankets for all other items of furniture. Strong webbing is used to ensure all furniture is secure in the vehicle prior to leaving your old property. At your new property our crew will again place selected covers where required and unload all your possessions into the correct rooms, all items will be placed in the rooms of your choice and in the position you require. Before leaving, final checks will be done to ensure you are happy with the complete service any furniture specially packed and wrapped by our crews will be carefully unpacked. If the removal crew have needed to dismantle furniture before removing from your home it will be re-built to the best of their ability. 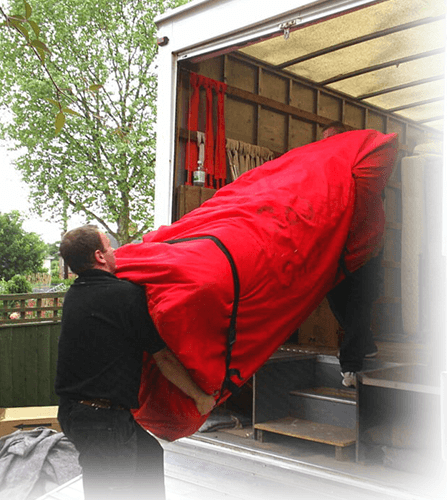 We specialise in moving pianos of any kind, Andrews removals are equipped with piano covers, piano wheels and grand piano skates, these specialist tools along with our knowledge and skills will make moving your piano effortless. 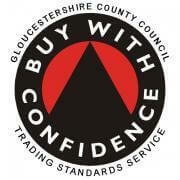 Regardless of access or the piano type makes Andrews Removals Gloucester your first choice. Included within our moving cost is up to £50,000,00 insurance.